With what has been an exciting international break, for once, coming to an end, Chelsea resume their Premier League campaign with a trip to South Wales, this Sunday, to take on relegation-threatened Cardiff City. It’s the kind of game that Chelsea should win at a canter but then again when you consider the unpredictable nature of our side, one we could quite easily lose. 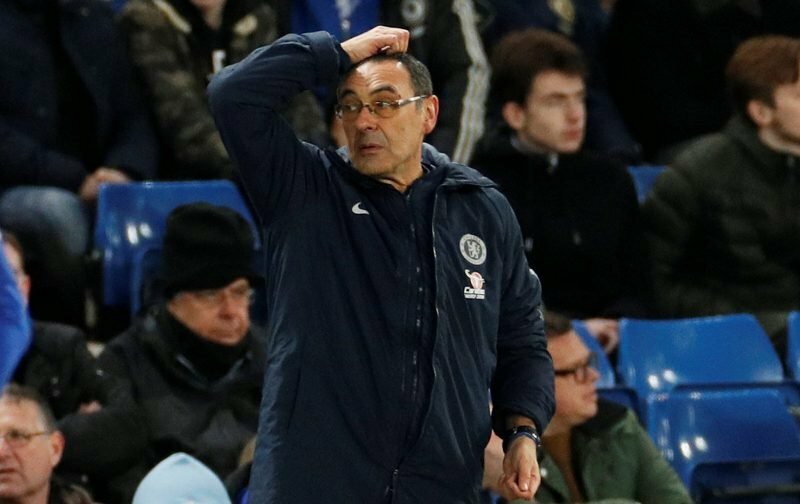 Just when it seems as if Maurizio Sarri might steer the club to a top-four finish, we inexplicably slip-up, will that be the case this Sunday at the Cardiff City Stadium? Whilst on international duty, both Ross Barkley and Callum Hudson-Odoi impressed but the big question is whether Sarri, with his stubborn streak, will give the latter his first Premier League start or disrupt his midfield by giving Barkley a start in a similar role he plays for England. As is the norm, we’re asking you to second guess the starting eleven Sarri will opt for in what is another crucial fixture; simply drop your predicted eleven in the comment facility beneath this article and we’ll see who gets it spot on or the closest. We need to be solid at the back. Win the ball and defend the defenders from midfield. And be devastating in attack. No shot on target so far …. only one decent try from Pedro in first half hour. Are we not even bothering with Matchday Moments now? To me it does not matter whether we have won this match. What is clear is that Sarri does not deserve to be the manager of Chelsea. Cardiff were denied a penalty and Chelsea first goal was an offside. Sarri seems to be a hateful man. If he doesn’t like a player he shows it. If it was all in his powers, Hazard would not be playing, Ngolo Kante would not be playing, Hudson Oddoi would not even be anywhere near the bench. This is my opinion. Luckiest win ever and completely undeserved. Spurs fail to take a point of Pool, now if only Newcastle can do us a similar favour tomorrow against Arsenal ! Absolute trash, Sarri needs to go along with Higuian & Jorginho another stubborn manager waiting for his compensation. Why loftus-Cheek & Hudson Odoi are not in the starting eleven is beyond me. As previously mentioned it was the incompetence of the referee & his assistant that got us the points. Sarri’s comments on CHO first start for England must have been so discouraging for CHO ….if Sarri stays I doubt CHO will sign a new contract. RKC has that attacking instinct that Frank Lampard used to have, he must start ahead of RB , Jorge & Kovacic.